Quick action is important with water emergencies, as it prevents damage from worsening and spreading. Has your residential or commercial property sustained serious damage because of a natural or man-made water emergency? If the answer is "yes" you've come to the right place. Hi-Line Flood Solutions is always ready when disaster strikes. Whether you've experienced flooding, burst pipes, or an appliance leak, our experts will help you get your home back to normal as quickly as possible. We offer complete disaster restoration solutions to residents of the Havre, Shelby,Cut Bank and nearby areas of Montana. Why choose us for disaster restoration? Fast response: We have emergency response crews ready 24/7. When disaster strikes, we'll answer your call for help. Expert & courteous service: Our techs are trained in a wide range of disaster recovery operations. Crew members will always treat your property with care, paying attention to your needs. Insurance company collaboration: We'll work with your insurance company to expedite disaster recovery claims and begin restoration work ASAP. Temporary & permanent repairs: We can protect your damaged property with temporary tarp coverage & board-up services, then follow up with permanent repairs. Improved disaster readiness: Get better prepared before the next storm! Many homes and businesses can be made more disaster-resistant with upgrades that we install. 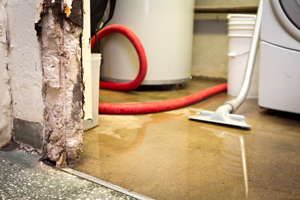 Upgrade examples include powerful sump pump systems with battery backup, basement waterproofing systems, flood vents for foundations in flood zones, and basement finishing materials that can't be damaged by water or mold. When your property has been damaged by a flood or other water disasters, it's easy to feel overwhelmed. What should we do first? What about safety and security? What can be restored and what should be thrown away? These are all common questions following disaster-related property damage. Hi-Line Flood Solutions can help. We specialize in water damage restoration. We'll work with you and your insurance company to design a customized restoration and recovery plan that meets your needs. Temporary repairs such as tarp protection or board-up work are sometimes necessary before permanent repair and restoration can begin. Whatever your home or business requires, we have the tools, training, and expertise to get your home or business back to normal as soon as possible. If you've experienced any type of home disaster, call Hi-Line Flood Solutions first! Let our disaster recovery experts help protect your property before the storm, and get your home or business back to normal after disaster-related damage. Call us at 1-855-226-8856 or email us today! We provide complete inspections and free estimates for water damage restoration. Our specialists service Havre, Cut Bank, Shelby, Malta, Chinook, Harlem, Sunburst, Saco, Joplin, Rudyard and the surrounding area. Hi-Line Flood Solutions is the trusted expert for disaster restoration.